Brigalow ( Acacia harpophylla, MIMOSACEAE ). Pupation occurs in a stout oval cocoon covered in erect black hairs from the skin of the caterpillar. 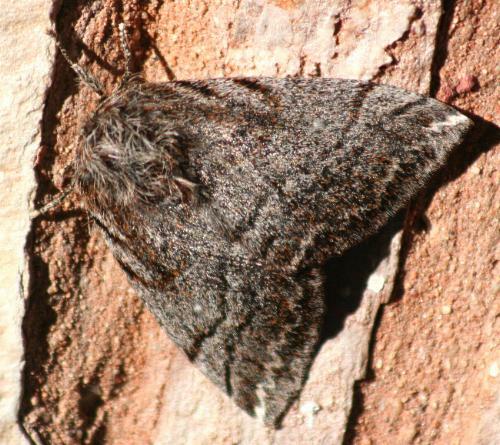 Each forewing of an adult moth of this species is grey with a number of parallel submarginal dark stripes, and a prominent white spot. 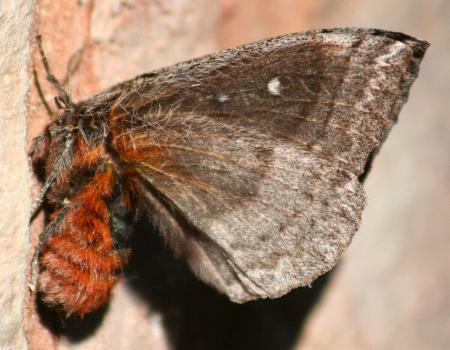 The hindwings are each dark grey fading to pale yellow at the base. 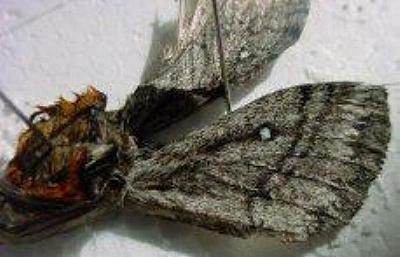 The moths have a wingspan up to 10 cms. Moths of Australia, Melbourne University Press, 1990, pls. 13.13, 28.3, p. 395. Series 2, Volume 6, Part 2 (1891), pp. 288-289.